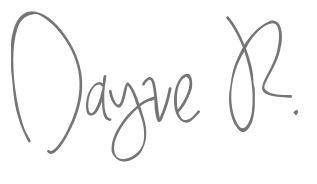 Who is Dayve Rampas? Dayve Rampas is an Average Jane by day who loves wearing her favourite pair of pants, and plain blouse. She was born in Kota Kinabalu, Sabah (previously North Borneo) in early 80s. She’s working by day, and a nerdy by night. She was stationed in Ranau District but now she’s back in Kota Kinabalu. When did she start blogging? Her blog started as a personal blog where she actually vented out her angers when she was in bad mood but then she realized that those posts gave her nothing but bad memories. So, she deleted all those negative posts, and started to enjoy writing reviews on products/services. She just loved to share her experience with other readers. Is her blog really all beauty products? She doesn’t limit herself blogging about beauty products because she’s really flexible to write anything based on what she experienced when using the product/service. She has also decided to write about interesting places around Sabah because she travels a lot! What is her skin type? She has a combination skin. She’s more concern with how to deal aging, wrinkles, dark under eyes, and *adult* acne. What does she love to do during her free time? She loves reading books a lot, and often read before bedtime. She loves shopping, DIY, take photos, and baking. She rarely have time watching TV, but she always make sure she got time to watch Tagalog, Taiwanese, Japanese, and Korean dramas. Sometimes, she would lock herself in her small studio to do make-up. She also plays the piano and go for a jog at the park. What are her favourite beauty products? She is into Asian beauty products (mostly Korean brands), but she does accept products from other countries, too! Does she has a full-time job? Yes. She was a freelance make-up artist based in Kota Kinabalu, Sabah. She has a professional diploma in make-up artistry, and has been a make-up artist for more than 5 years. Currently working as the Government Servant by day, and battling at night with her research studies. Does she Sponsored Post, and Advertisement on her Blog? Yes. Just drop her an email.